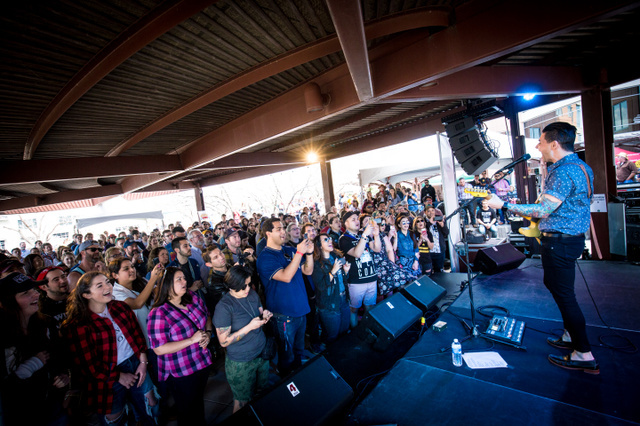 Austin, TX (April 3, 2018) — Southwest Invasion, presented by Schwinn, featured a concert series and lifestyle village held in downtown Austin, TX, during the city’s annual 10-day film, interactive media and music festival this month. The three-day Southwest Invasion featured dozens of artists, such as Larkin Poe, In the Valley Below, A Place to Bury Strangers, Dashboard Confessional’s Chris Cabbarra and DMC (as in RUN-DMC), performing on two outdoor stages equipped with gear from QSC Professional, including WideLine 10 Seriesand KLA Series line array loudspeaker systems, KW Series and the new K.2 Seriesloudspeakers, PLD4.5 amplifiers, with a TouchMix-30 Pro compact digital mixer at front of house. Previous PostChillin' at Winter Wonder Grass!